The three major U.S. indexes ended the week with gains of more than 1%, even though stocks mostly drifted Friday. Investors digested uninspiring economic reports Friday, including a weak reading on U.S gross domestic product. Gross domestic product -- a broad measure of what the economy produces -- increased in the first quarter but fell short of what economists expected. That reading is the latest sign of what many investors see as a directionless economy that the Federal Reserve can't quite resuscitate. The Fed continues pumping billions of dollars a month into bonds and mortgage-backed securities to fuel the economy, but has seen lackluster results. The Dow Jones industrial average moved up 0.1% Friday and ended the week up 1.1%. The S&P 500 and the Nasdaq dropped between 0.2% and 0.4% Friday, but gained 1.7% and 2.3% for the week. Mixed bag of earnings: D.R. Horton's (DHI) stock price surged, after the home builder reported a near doubling of quarterly net income on Friday, riding the wave of the recovering housing market. Burger King Worldwide (BKW) rose after it reported an increase in profits. Tech stocks tumble: Amazon (AMZN) shares fell precipitously, after the online retailer reported a profit decline. Shares of Chinese search firm Baidu (BIDU) dropped more than 8% on weak earnings. Shares of Expedia (EXPE) were the biggest drag on the Nasdaq. The online travel site lowered its guidance for the year, blaming a slowdown in hotel reservations. 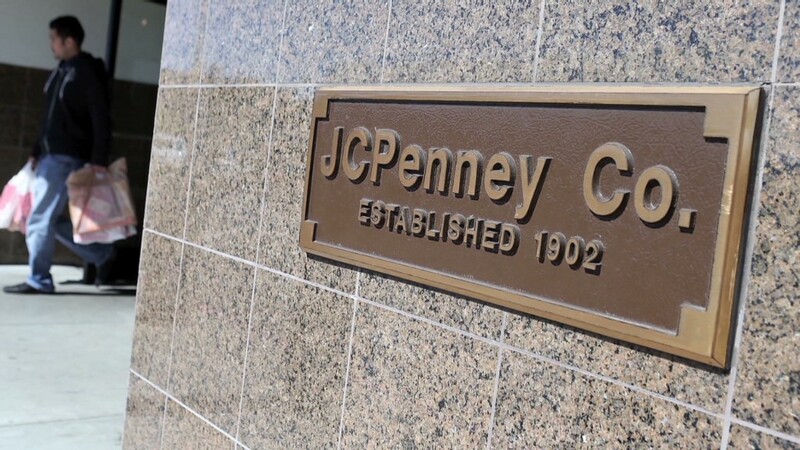 In other corporate news, shares of J.C. Penney (JCP) surged after hedge fund mogul George Soros said late Thursday that he had taken a 7.9% stake in the ailing retailer. CNBC also reported that Goldman Sachs had secured $1.75 billion in financing for the company. Asian markets ended mixed. The Shanghai Composite declined 1% and the Hang Seng added 0.7%. European markets closed lower, following three consecutive days of significant gains. The Euronext 100 index declined by roughly 1%. The dollar lost ground against the euro, the British pound and the Japanese yen. Oil and gold prices fell. 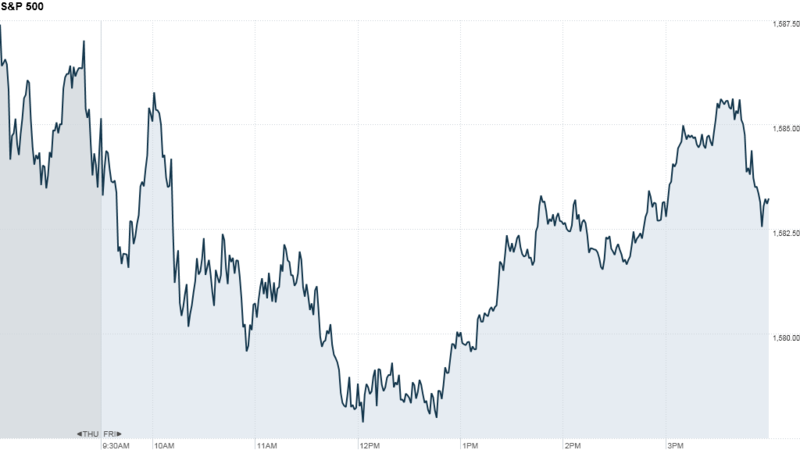 The yield on the 10-year Treasury dipped to 1.67%.